Welcome back to the Blue Rose family: RUSS TOLMAN with Goodbye El Dorado ! Americana singer, songwriter and guitarist, Russ Tolman has been confounding expectations from the start, following his own unique path, all the while with a knowing nod, tugging on our coats, inviting us to come along. It has always been a pleasing, worthwhile suggestion. With his eighth album, Goodbye El Dorado, Tolman wistfully, but with a clear, critical eye examines his homeland from afar, penning his „love letter to Los Angeles“ without acrimony and with the clarity of distance. He was half a world away in Osaka, Japan and the miles provided a prism of certitude. 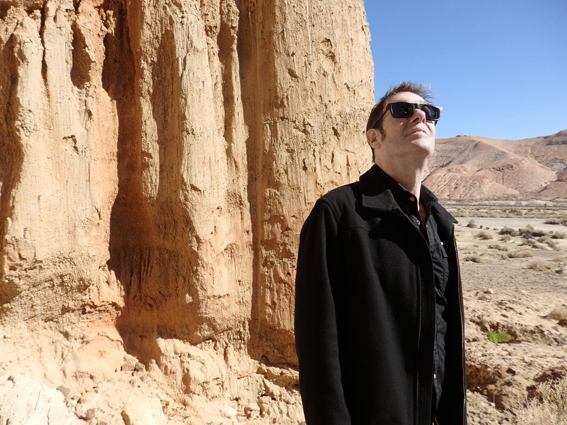 From his gunslinging days in the seminal 80’s twin guitar chainsaw band True West throughout a varied, exceptional solo career, Tolman’s strengths as a singer-songwriter are on full display here. From the everyday laments of time melting away on the 405 freeway to the personal musings over the intimate, familial travails of having your hopes and dreams running headlong into reality. Heady stuff you say? No doubt. and the results are a golden treasure. Recorded in Los Angeles and mixed in Osaka, Goodbye El Dorado drops April 19. Russ Tolman has returned to the States, his boots are polished and he’s saddled up for another ride. Look around and climb on! It’s goodbye El Dorado, hello world. 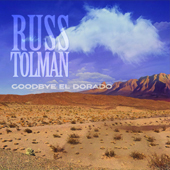 The first pressing of Goodbye El Dorado contains the bonus disc Compass & Map, a 20-song retrospective of Russ Tolman’s seven solo albums, spanning the years 1986-2013. Kommentare deaktiviert für Welcome back to the Blue Rose family: RUSS TOLMAN with Goodbye El Dorado ! BLUE ROSE RADIO SHOW Ausgabe April 2019 nun per Stream erhältlich!